HAVE A BASH WITH A SPLASH! 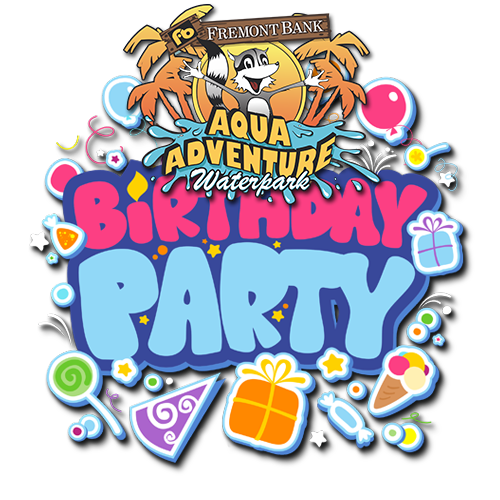 Our Party Packages combine water activities with great food to provide an affordable and memorable birthday party experience! 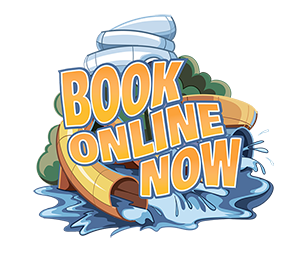 Impress your guests with an exciting day of endless thrills & spills at Aqua Adventure! Each Guest Receives: all day admission to the Aqua Adventure, Slice of pizza (choice of cheese or pepperoni), a beverage, and a Dippin’ Dot Ice Cream Voucher. Each guest receives: all day admission to Aqua Adventure, Choice of (1/3lb Hamburger or Jumbo Hot Dog), watermelon wedge, bag of Kettle Potato Chips, a beverage, and a Dippin’ Dot Ice Cream Voucher. Below items may be purchased up to 2 days before your event. © City of Fremont Aqua Adventure Waterpark. All rights reserved.